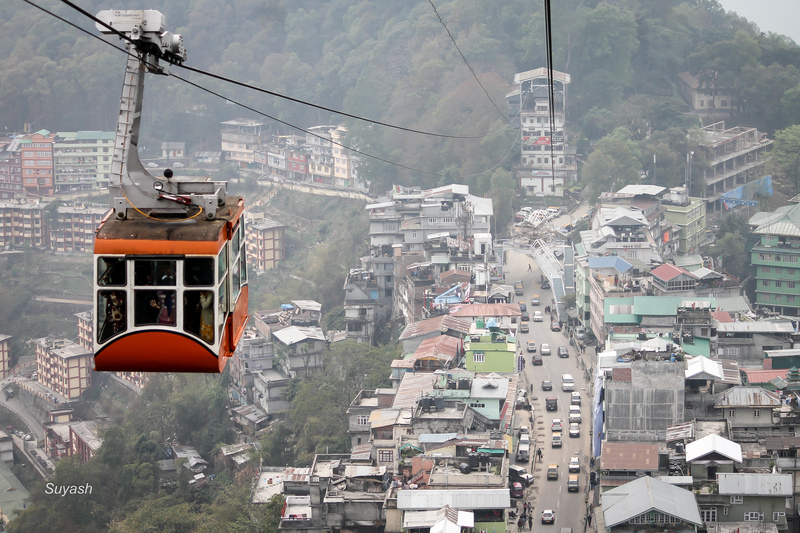 This is the shot of Gangtok (capital of Sikkim), taken from the cable car. This entry was posted in India, Photography, Travel and tagged A Traveler's Muse, Adventure, Beneath my Feet, Gangtok, Gangtok Cable Car, Gangtok Ropeway, Hill Station in India, Incredible India, India, Photography, Sikkim, Travel. Bookmark the permalink. Yikes. That’s way up there. Not much beneath your feet for a long way. Wow, cool view…what a sight! Great shot! I’ve tried this a couple of times before. The cable car is not very stable. It wasn’t easy! Your photo looks great! This is a WOW shot !!!! Great. So do you plan to visit Sikkim in Oct?